Impeccably maintained 4BR+ Office, 4 Bath home. 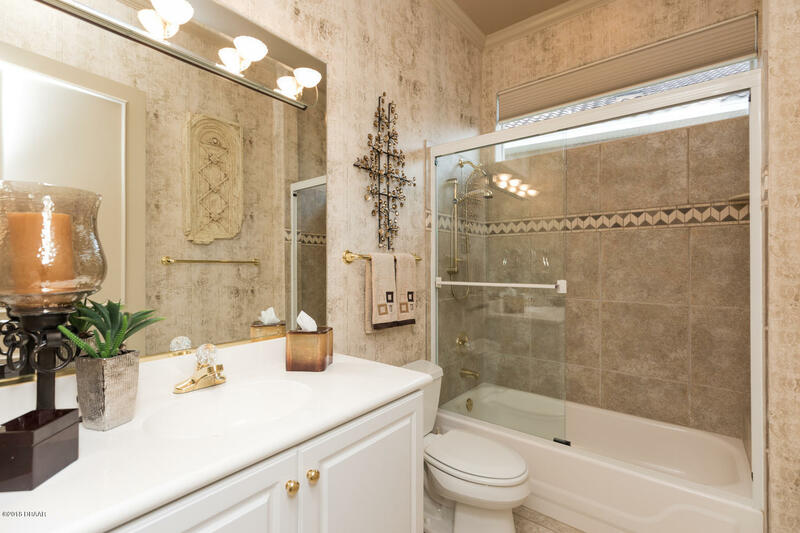 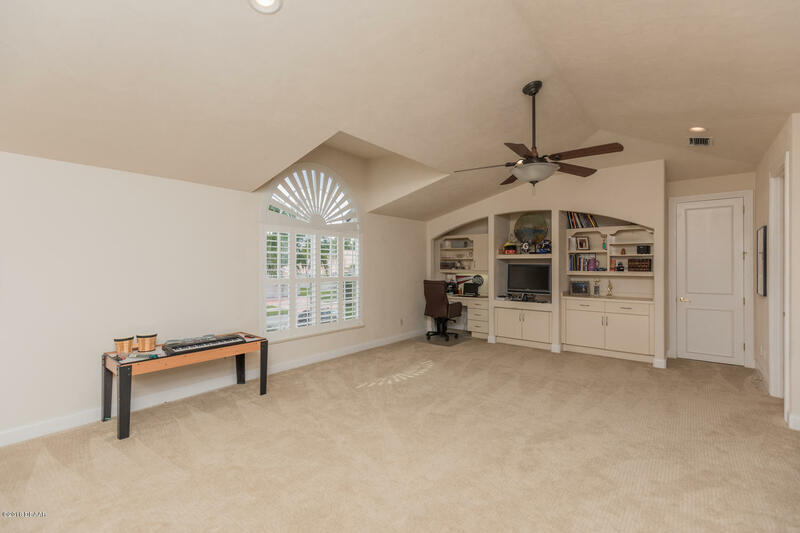 Versatile 2nd Floor Bonus Room (25x20) with full bath can serve as 5th Bedroom or Media Room. 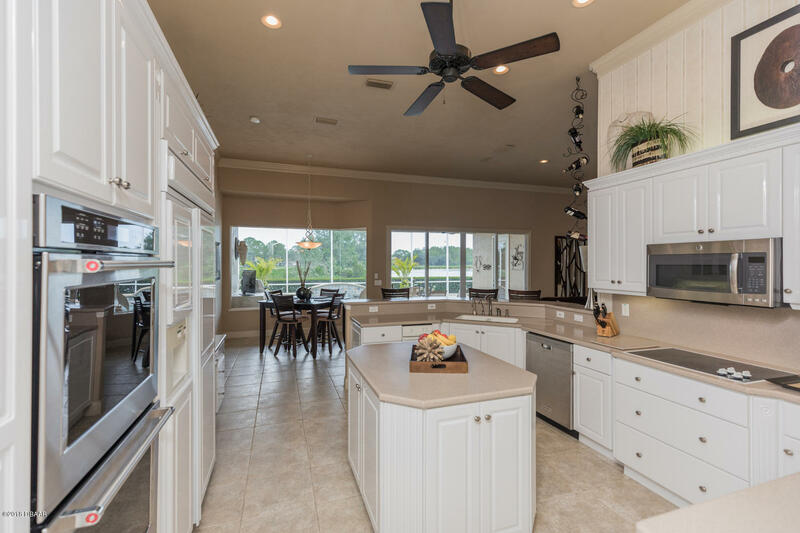 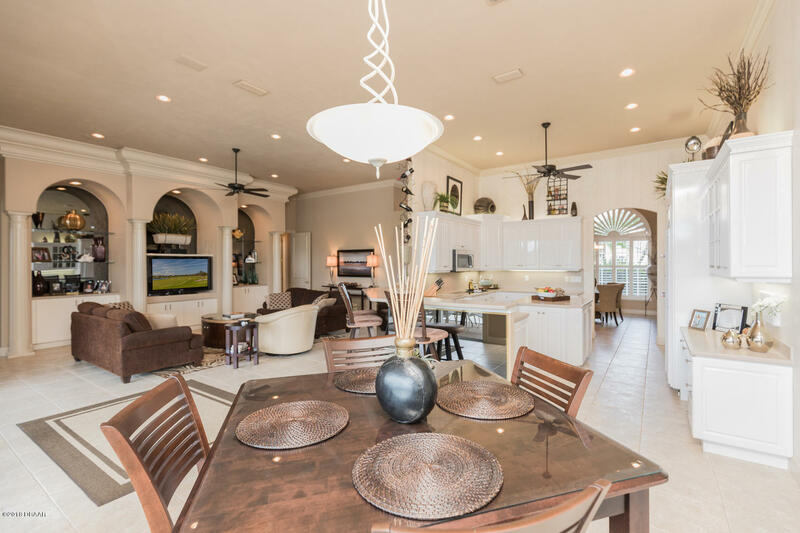 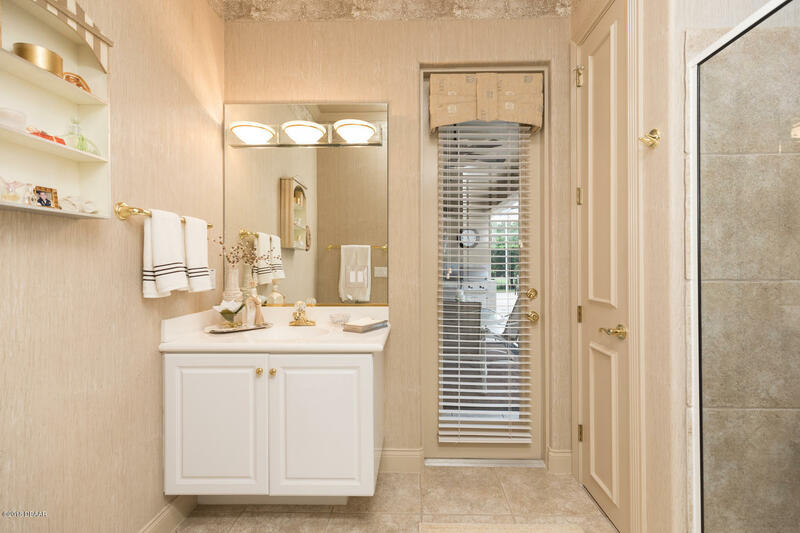 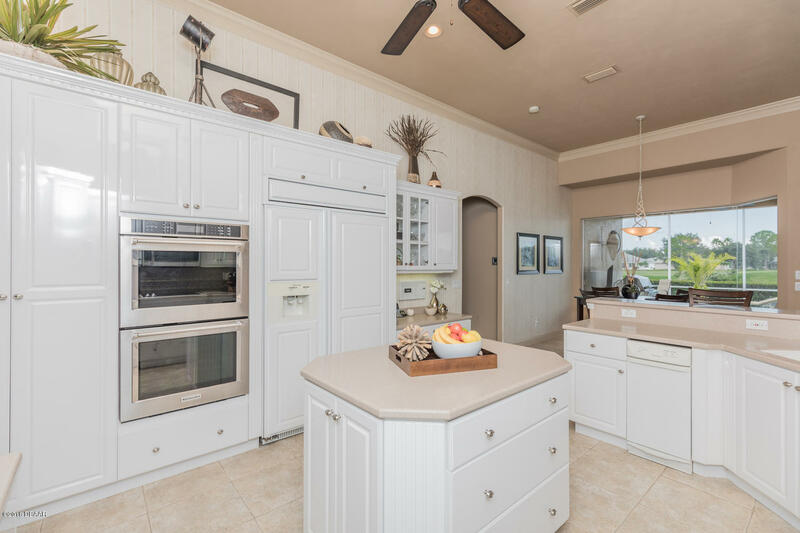 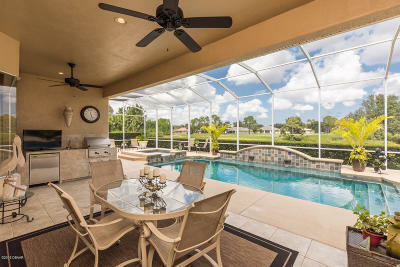 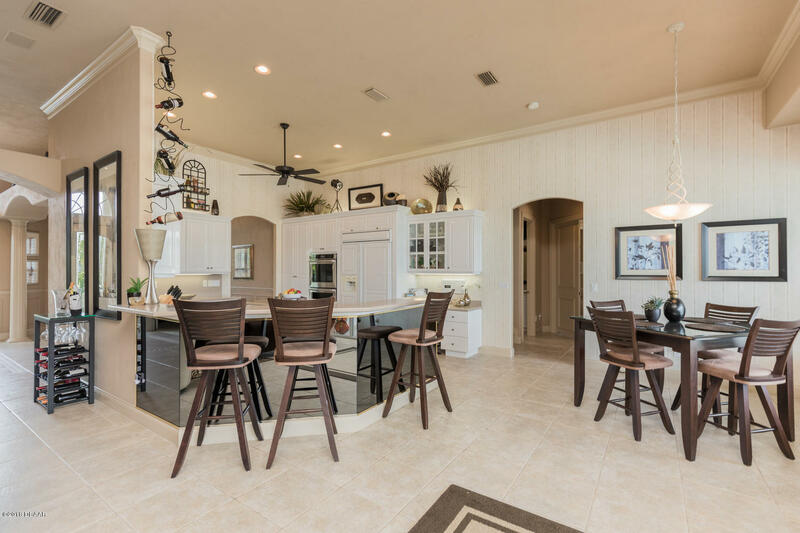 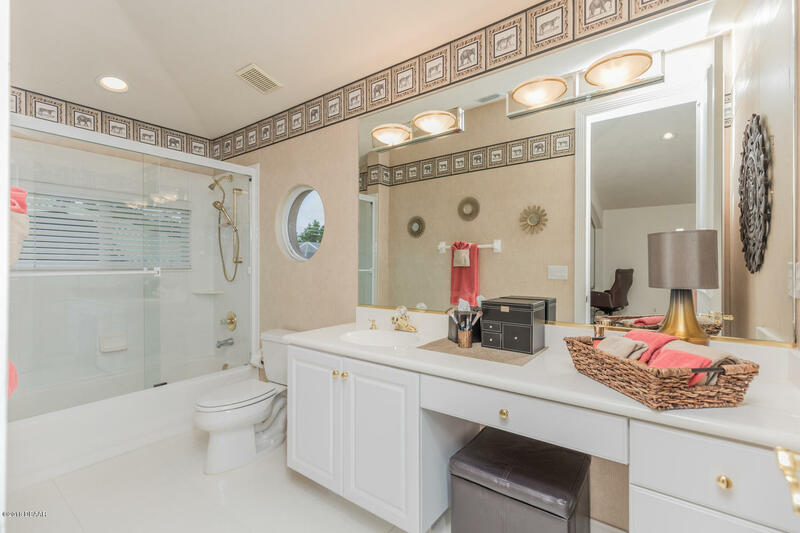 This home is located in The Reserve Estates of Spruce Creek Fly-In & offers dramatic lake & golf course views of Spruce Creek's Signature Hole in this 24/7 gated Country Club Community. 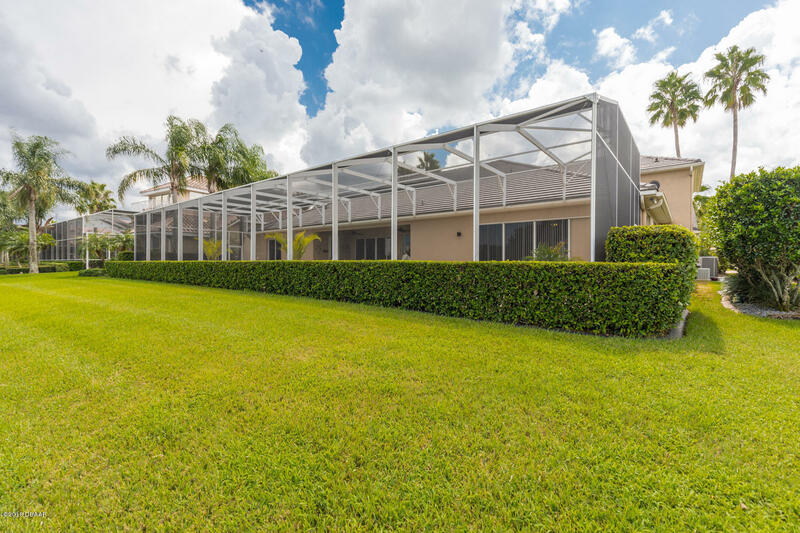 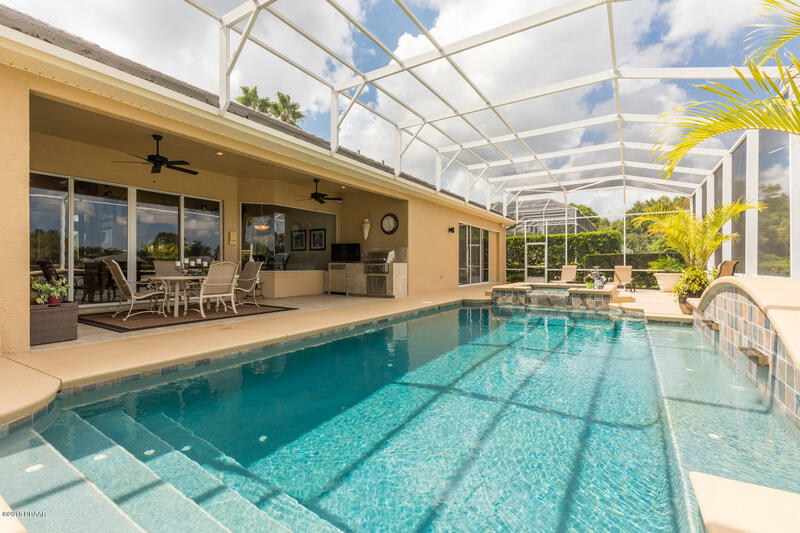 This professionally decorated residence offers an Open Concept from Great Room, with entertainment wall & glass sliders, to the huge screened Lanai with Pool, Spa & Summer Kitchen. 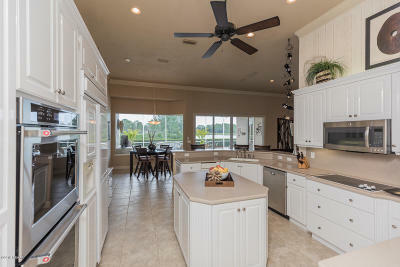 Large Custom Kitchen has Snack Bar, Center Island & newer Appliances, including double ovens. 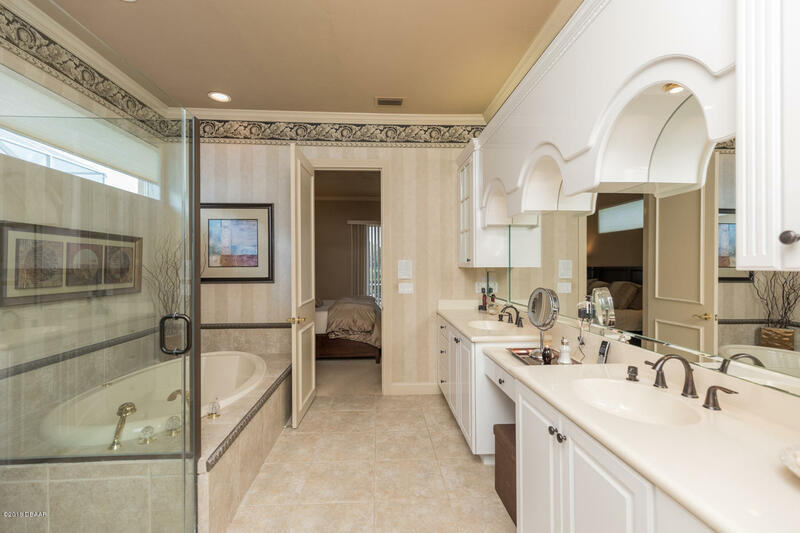 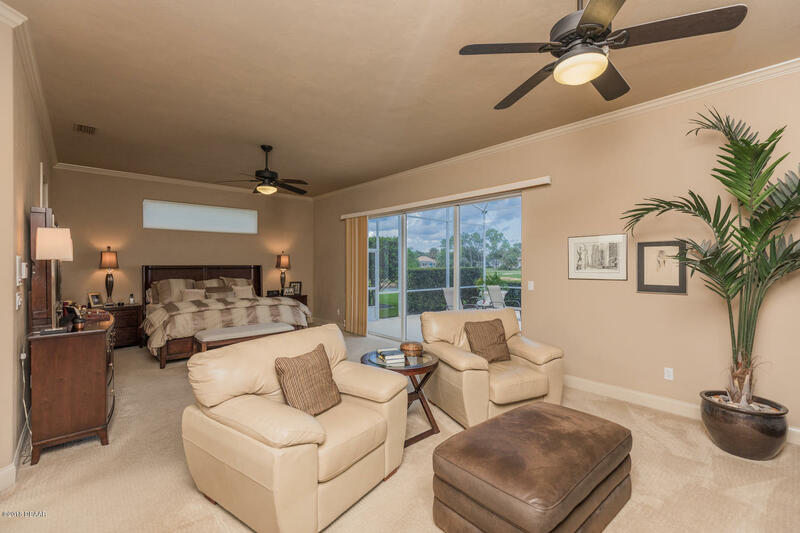 Spacious Master Suite overlooks pool & has Sitting Area, generous walk-in closet & luxurious Bath. 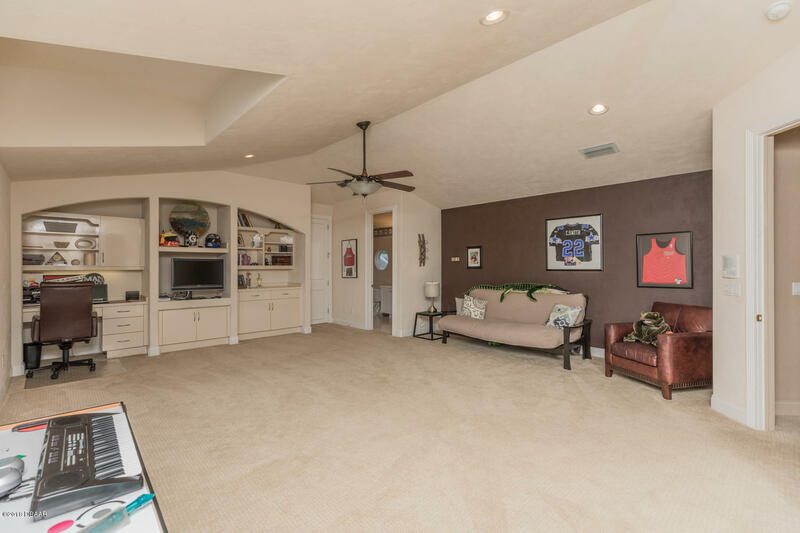 Extras include: Pristine oversized 3-Car Garage with newer hurricane doors, generator hook-up & built-in storage. 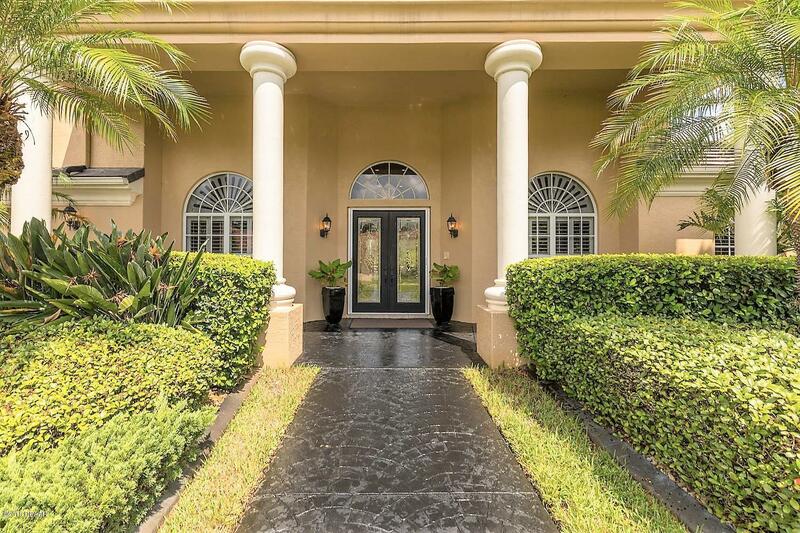 Extras include crown molding, Plantation Shutters, tile floors throughout main living areas, new flooring in the Exercise Room/BR#2, surround sound, central vacuum system, California closets, newer paint throughout , newer 1st floor zoned HVAC, buried 200 gal. 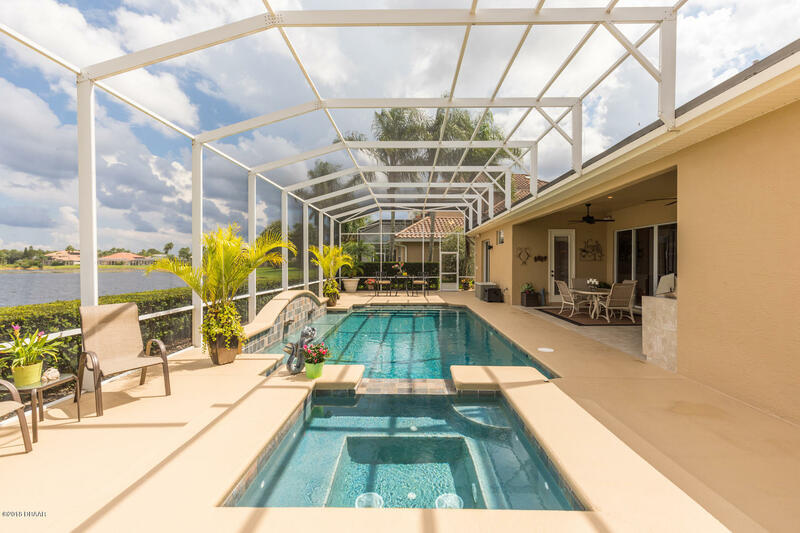 propane tank for the pool,(resurfaced in 2016), spa & BBQ grill, newer hot water heaters, stamped circular driveway & professional landscaping. 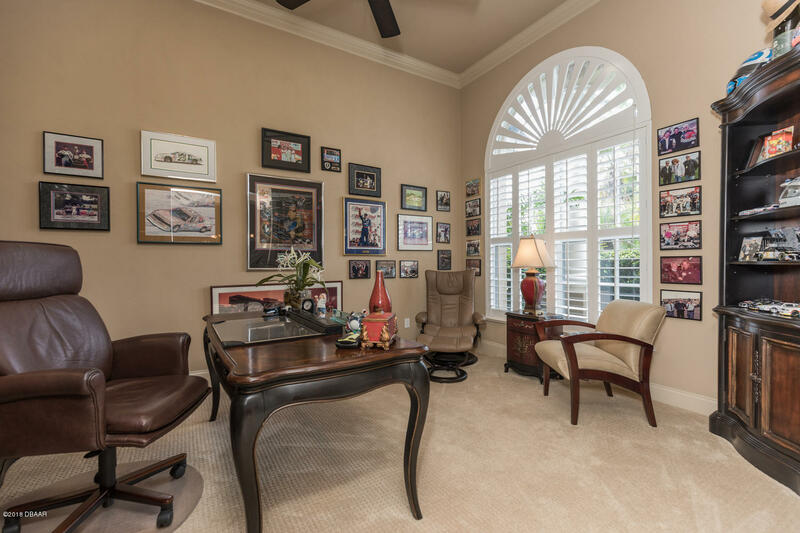 The Office with double French doors can also serve as a Formal Living Room and is located across from the Formal Dining Room. 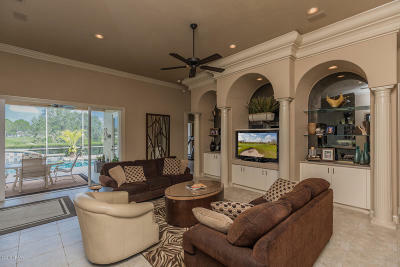 Essential Split Floor Plan provides total privacy in the Owners Suite. 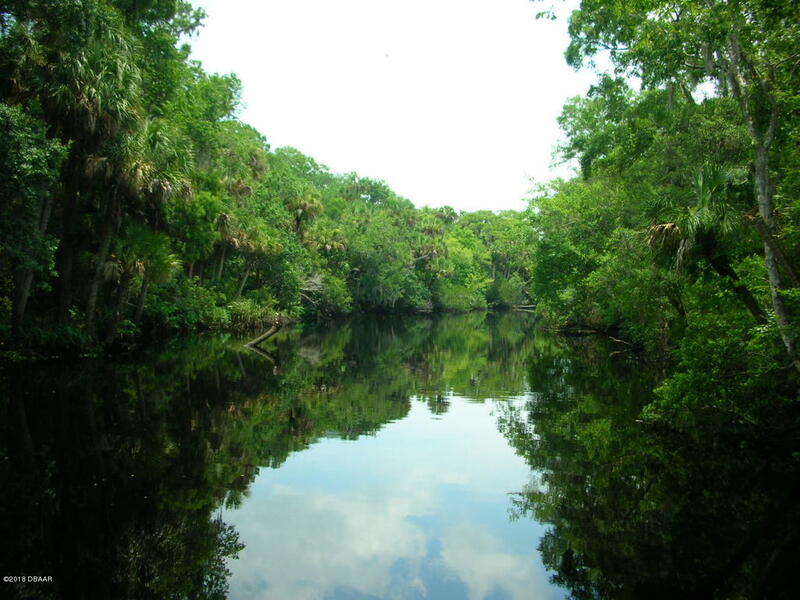 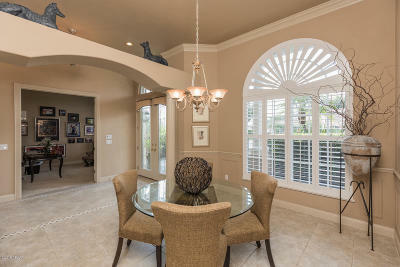 The luxury & quality found in Spruce Creek Fly-In is unmatched as an ideal family community. 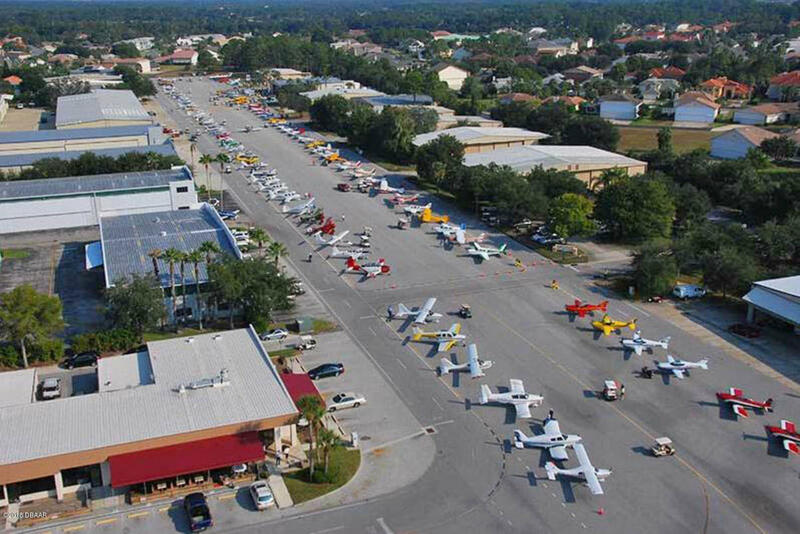 The private airport (7FL6) has a paved 4,000 foot runway, paved taxiways, a helipad, GPS approach, VASI lights, aviation fuel pumps, guest tie-down spaces and aircraft services. 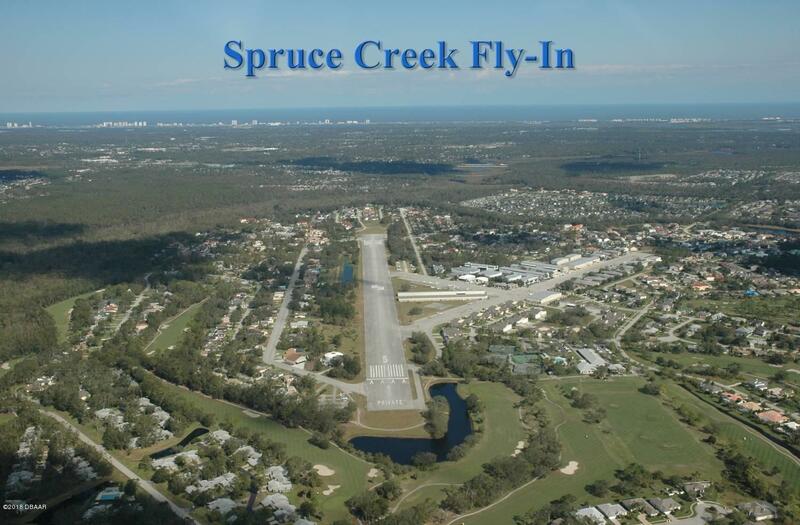 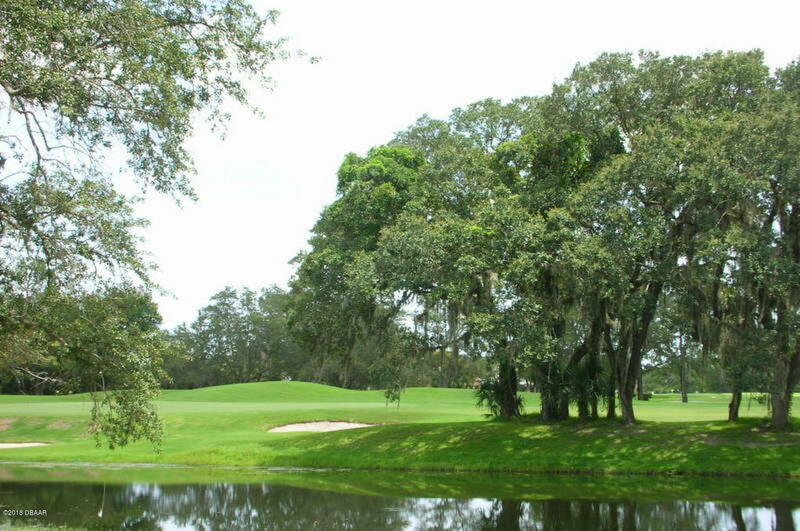 Spruce Creek Fly-In also offers an Optional Membership Country Club with tennis, pickleball, golf, fitness facilities, a private restaurant and a pool. 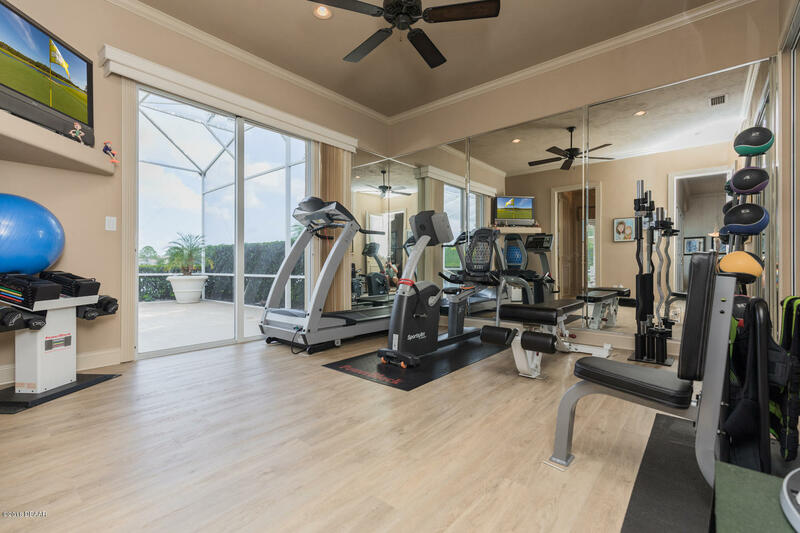 The community has parks, an on-site restaurant, hair & nail salon, skin care, acupuncture & massage boutiques, law office, aircraft sales & avionic repairs and several other professional businesses. It is close to retail stores, schools, commercial airports, recreation areas and Embry-Riddle Aeronautical University. 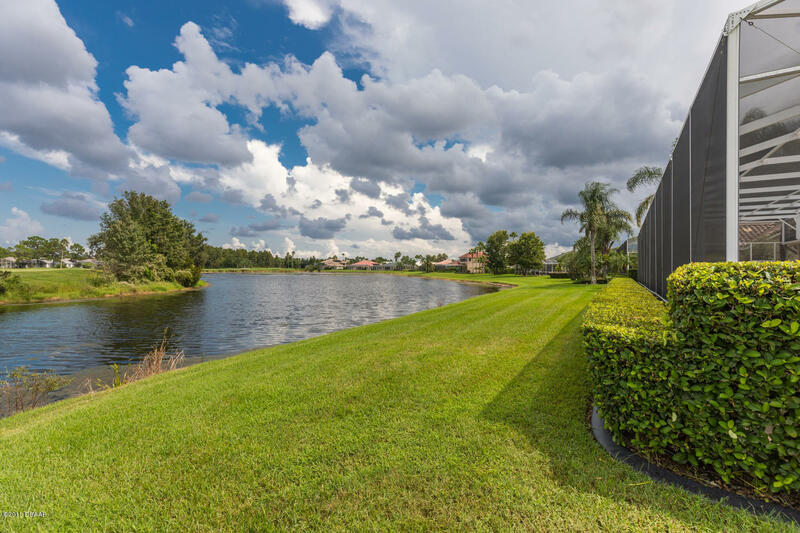 Residents include pilots, golfers, tennis players, car and motorcycle enthusiasts, gardeners and quilters, to name just a few. 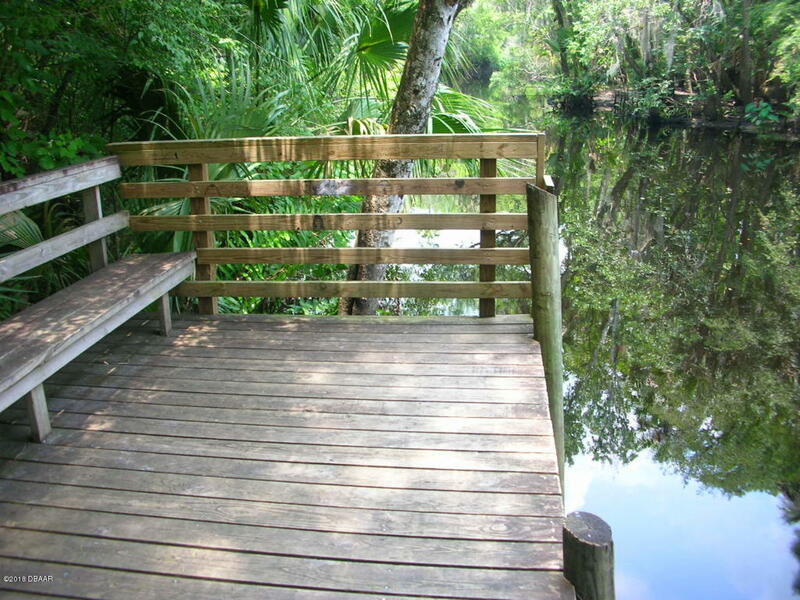 There are activities devoted to children and grandchildren of residents, social clubs and community wide festivals. 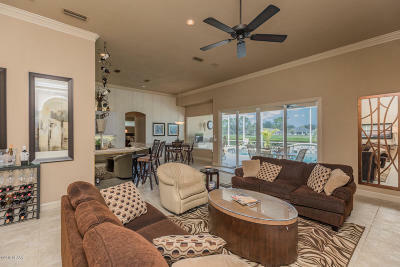 It is a 15 minute drive to the "World Famous" Atlantic Ocean beaches and about 70 miles to the Orlando "attractions" area. 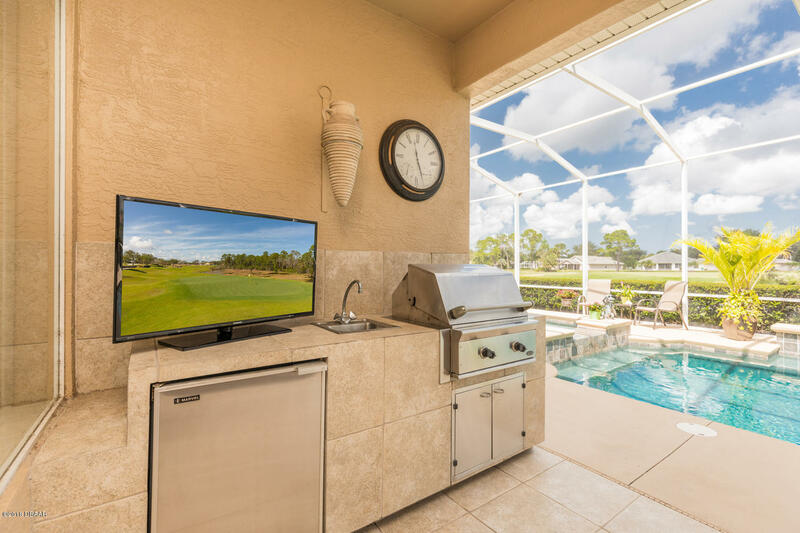 Personal Property that does NOT convey: Garage Refrigerator, Washer, Dryer, Wine Cooler, Honda Generator, TVs & Audio Equipment.